Last week I checked off an item from my bucket list. That is an excerpt from the Week 2 picks column of Bill Simmons. My Grantland fandom is well documented, and after missing out on the chance to intern there this fall, making an article was an appreciated, if bittersweet consolation prize. What was more exciting than seeing my words up on the big screen was the effect they had on Simmons. He acknowledges that he ignored my email from the previous week, and then decided to investigate the CBSSports experts on his own accord Week 2. I had affected the gambling mindset of the man that helped shape mine. Pretty dope. But then Sunday came around. And the Giants got beat by Drew Stanton. And I began to panic. Had Bill Simmons unjinxed the curse of the CBSSports experts? This idea that had grown to be so true in my mind, this bit that I planned to ride all season – was the phenomenon over? 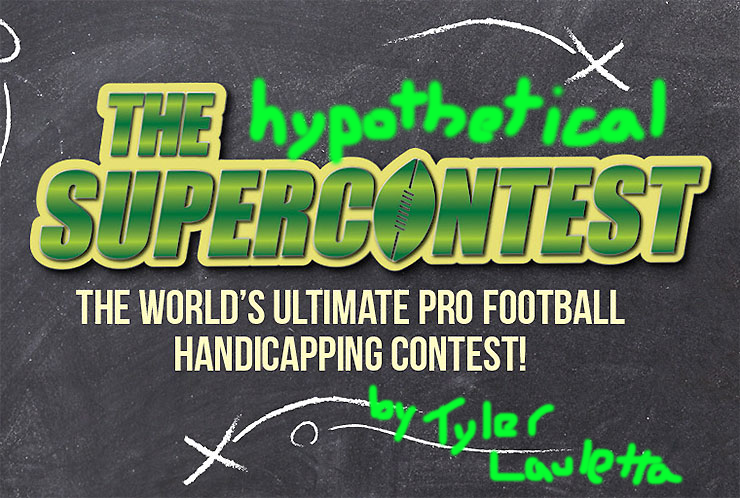 I checked the Week 3 picks and found that I would have my answer Thursday night. After the game I fell into a panic. If I couldn’t trust the experts, who was I? 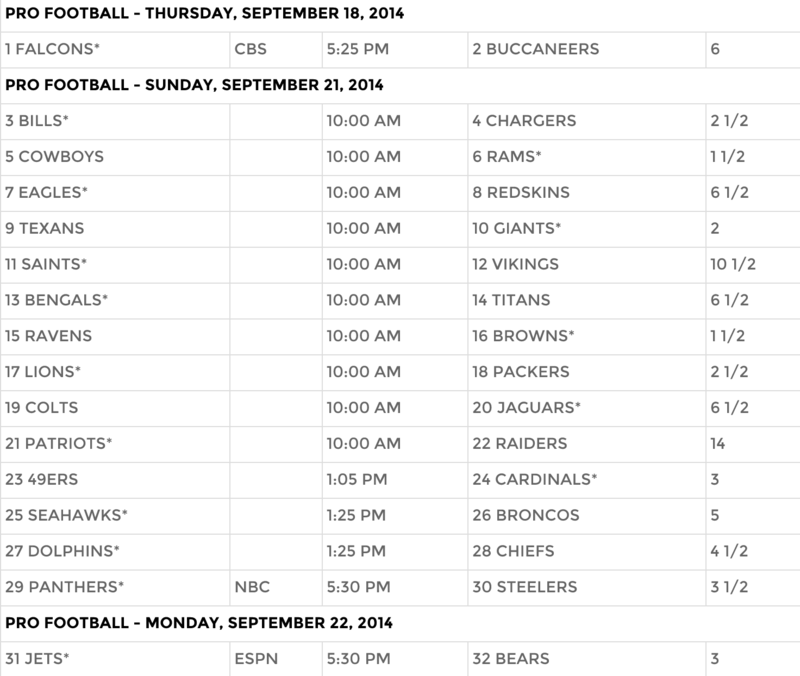 Everything I knew about the 2014 NFL season had changed. Up was down. Left was right. Field goals were touchdowns. Before Bill Simmons acknowledged the power of the CBSSports experts, they went 0-12 on unanimous picks. Now they have covered twice in a row. I needed an easy way out. I needed some arbitrary framing device to help make my picks. I needed a gimmick. These are your Week 3 picks, as decided by the top five songs currently on the Billboard charts. Home team gets the asterisk. And the answer was, without a doubt, JJ Watt. So I took the first clip of JJ Watt highlights I could find on YouTube, set it to Jessie J and company, and decided to see how it worked out. It is arguably the funniest thing I have ever created. The only team in the NFL that really fits the “Black Widow” profile is the Oakland Raiders. They wear black. They have an avid fanbase that simultaneously loves them for what they are and hates them for what they have become. I would say they are the most likely team in the league to literally eat their opponents after a game, although it’s a closer race than you might imagine. Also, the antagonist of the song, some unnamed man who thinks he is better and more in control than he actually is, that’s pretty close to the Patriots this season. Derek Carr, I’m going to love you until it hurts. That is Drake receiving a lap dance from Nicki Minaj. Drake bothers me for some reason. Drake is a Toronto native. Drake was probably mildly disappointed when the Bills started playing better, as they are now no longer moving to Toronto. I am all about situations that make Drake mildly disappointed. I am picking the Bills. I know that was a stretch, but whatever. Circle the Wagons. 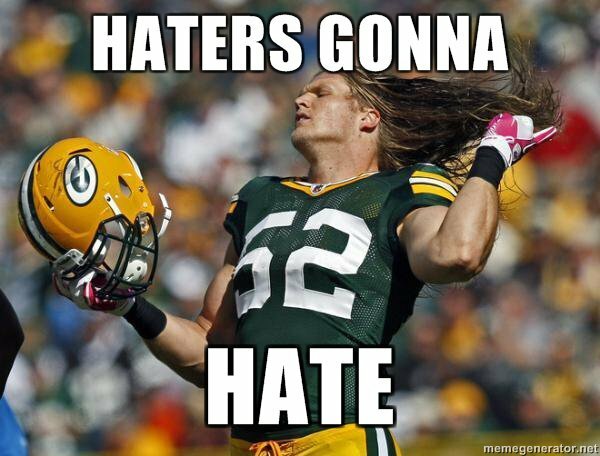 Three reasons why the Green Bay Packers are our “Shake It Off” pick this week. 2. With the eighth overall pick in my fantasy draft, I picked Aaron Rodgers, much to the amusement of my leaguemates. I am still attempting to shake off the haters and just be proud of myself for doing me. Related: I am currently 0-2 in my fantasy league. 3. I googled “NFL haters gonna hate” and was blessed with this as a reward. Meghan Trainor kills it here. I am, in fact, all about that bass, and no team in the league brings more bass than the Legion of Boom playing at home in Seattle. I wanted to make another supercut of Richard Sherman and Earl Thomas defending passes and crushing receivers over the middle while the song twanged away in the background, but I was already pushing my YouTube-ability to its limits. Plus, it would muddle what’s really important here. Every inch of you is perfect. From the bottom to the top. I’m sorry we didn’t talk last week. I’ve just been in a weird space. You see, I sort of leaned on you as a bit last year. Whenever I didn’t know who to pick, I would just pick you because I liked you a lot and it was easier to move the pressure off my back and onto yours. You carried my burden, carried it all the way to a Super Bowl victory, and I can’t thank you enough. But this year is a different year. I’ve grown. We both have. And sometimes I feel like retreating back to the good old days where I would write you fake letters as if you could read them, back when we were undeniably and inescapably in love. I still love you, but love grows and changes and becomes all of these crazy things we never thought it could be because we couldn’t perceive its totality from the start, we could only stare into the unknown abyss. I saw in that abyss a future as a writer, the ghost of a dream that I may or may not be able to turn into a reality. 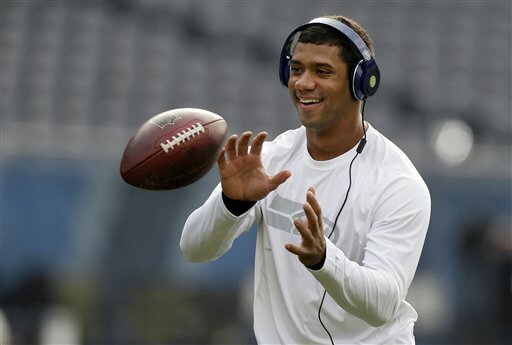 You RUSSELL, you saw a Super bowl ring. And you HUSTLED and BUSTLED harder than anyone else I have ever seen to get it. Those were some of your first words when you spoke to the media just moments after winning your first Super Bowl ring. I have faith that it will stand as the first of many. You taught me that anything is possible if I believe in myself, a lesson that I seem in need of learning over again every once in a while. I know that you will always be there to remind me. That is why I needed to try and write without your help last week. I needed to prove to myself that I could write something that didn’t simply revert to the delusions of my mind’s eye and inside jokes that only regular readers would understand. I needed to show that I was capable of standing for something on my own. I needed to HUSTLE and BUSTLE, just like you taught me. Thank you for everything. I know this isn’t the end of our relationship; it’s just the beginning of a new chapter. I’m sure you’ll be here in this column from week to week, whenever I need you or you need me. I am blessed to have you in my life. Love always and Happy Sundays.